A Facebook friend shared this video with me last week which does a good job of explaining addiction and how it works. Pretend for a moment that the Kiwi bird is a human and the gold nuggets is heroin. Poll Results:Should money from Drug Busts be Used for a Treatment Center Here? According to the post stats 33 people visited and read the post. Do you think the money from the recent drug busts "kingpins" should be used for a treatment center here in Martinsburg and/or Berkeley County WV? I am interested in doing more polls in the future here on my blog. I need your help in this for instance, is it easier if the poll is placed in the post? OR would you like to click a link to go to the poll? Are there any questions you would like to see asked in a future poll? Chime in and let me know! Poll: Should the Money From the Busts be Used for a Treatment Center? If you live in the Eastern Panhandle of West Virginia I guess you have been reading the stories of the big drug busts going on around the area as well as the arrests of several drug kingpins in the area. This, in my opinion, is a prime example of where the monies should come from for a treatment center right here in Martinsburg and/or Berkeley County. Nothing pops up to buy stuff or advertisements as in other online polls. As always your opinion matters. Please feel free to leave a comment if you like. Thank you for participating in this poll. 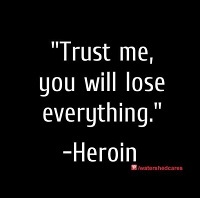 What they won't tell you about are the consequences of heroin. I am putting a few short video documentaries here for the next week before the April A-Z Challenge begins on the first. If you are a parent it does not matter your kids ages I hope that you are having the discussions in your family, even if you think this doesn't involve you or your family. Tomorrow is a brand new day. The Truth About Drugs documentary is the cornerstone of the Foundation for a Drug-Free World Campaign, sponsored by the Church of Scientology. This documentary is the real story of what drugs are and what they do to one's body and mind—told by people who've been there, done them and survived to tell about it. There is help. There is hope. 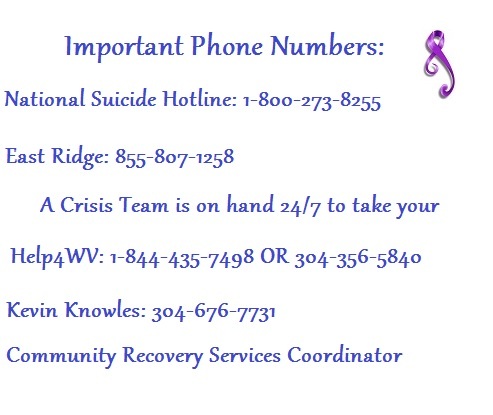 Please reach out to someone today. We all know in the 1990's and early 2000's that the heroin and opium rushing into the United States was primarily from Afghanistan. The information is out there to read. If we fast forward to 2014, 2015, 2016 still some of the heroin and poppy from Afghanistan continues coming to the U.S. mainly via South America. As you will see in the video a lot of heroin these days that we are seeing on the streets of the United States, especially the Black Tar is coming into the U.S. via the border with Mexico. It is a very lucrative market for the farmers there. Many are paying with their lives as you will see in the video. Many others in the U.S. have paid with their lives in the form of addiction. As the rate of opioid addiction has surged in the United States, Mexico has become the world's third-largest producer of opium used to process heroin. Mexican cartels are now the primary suppliers of the drug to the US, producing a crude and unrefined form known as black tar. VICE News travels to the fertile mountains of western Mexico, where we see the beginning of the path black tar heroin takes to the US on plantations growing poppies used to make opium. We then head across the US border to witness the human cost of the lucrative but destructive heroin trade. I thought I would give one last update to the April A-Z Blogging Challenge today. If you have been reading here you know I will be participating in a huge blog challenge in April which starts next Saturday, April 1st. The object of the challenge is based on the alphabet. We are to post a subject each day in April (except on Sunday). The countdown has started. 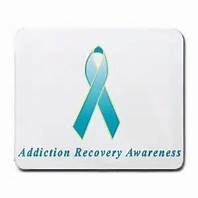 I announced last week that my theme for this April Challenge will be about Addiction, Recovery, Hope and Healing. I hope that you tune in starting next Saturday to read my April postings. This week I have finished all of my first week of posts. They have been edited and pre-scheduled. This week the challenge is working my full-time job and getting the second week of posts ready. I still have a few letter days I am working on. As I continue working on the posts I feel so honored to be sharing personal stories from those in my community as well as outside of my community who put in tireless hours reaching out and helping those with substance abuse problems. There are also a few stories in April of personal recovery that I will be sharing. Thank you to all who have gotten back to me and those allowing me to share your personal stories on my blog. 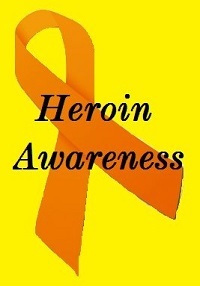 One of the biggest goals for April is to hopefully shine more public awareness on substance abuse. I hope that the personal stories that I will be sharing will show you that people can and do recover from this disease. With the proper pillars of treatment in place, they can and do heal and they go on to do some of greatest things in life. The stigma relating to substance abuse and addiction does no one good. In fact, it only harms those who are working hard and trying to recover. So many mistakes have been made for instance incarceration of those who are only guilty of having an addiction to a powerful drug. To be truthful handcuffs helped no one except those who own the jails and prisons. Sending those with substance abuse problems "out of here" is not the answer. There are only roughly 144 beds available across the state on any given day. If you have had any dealing with that you know it's like a lottery or game of BINGO when it is someone you love. Many have died while waiting on a bed. Many others have died because they didn't have transportation to one of those beds. When I came out of the shadows of stigma last year and decided to hold a memorial and vigil I was tired. I was tired of seeing the many young people dying. Many families that I know. Some that I am related to. 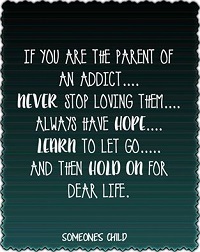 I was tired of running into brick walls with my own children who have addiction problems. When the news came out about the plans for 750 Baltimore St. to become a treatment facility I danced with joy. It is about time. Then of course within a few days and weeks, the fight began with zoning and all the other bureaucratic mess surrounding it meanwhile the numbers of overdoses only climbed higher. The number of those losing their fight with this disease continued climbing. I didn't come out of the stigma of shame to lay down and surrender. I came out with a purpose and a goal that included Hope and Healing. I have met many along the way. Our bond is so great that we are held by the thread of addiction. We scream loudly, no more lives lost. We even locked arms across the Heroin Highway to say, no more! We on this side know there is so much more work to be done in this fight against addiction and substance abuse. The fight I have in me I credit to my grandchildren whose biggest fear is that they will lose their dad. That he will die. I knew then that I had to do something. I could not live the rest of my life with those kids thinking I did nothing. One of them found their mother overdosed about a year ago in the bathroom. So no. I have to do something. All of those children just like my own grandchildren are the future of Martinsburg, WV and Berkeley County! For those who have lost their loved ones to this disease, I am saddened. I pray for those families every day. I cannot let their loved ones be forgotten. They did not die in vain. I will always speak their names. Their memories should go on forever, and they will.Their memories will live on forever. Never Forget Them. 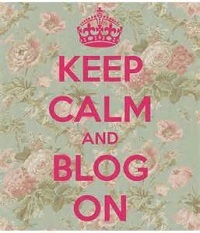 I hope that you stick around to read some very exciting posts coming in April. Thank you. You are amazing! Today is Day #223 of the Just For Today Challenge. I am also integrating the Live Happy into my daily Challenge. The Live Happy Challenge for today says to volunteer time and help out with a Habitat for Humanity Project. Swing a hammer, carry some lumbar, and otherwise help build a home for a poor family if this appeals to your social conscience. Habitat For Humanity is a nonprofit organization that works in tandem with volunteers in communities worldwide to build houses for the low-income people. Former president Jimmy Carter and wife spend a week every year swinging hammers to help erect affordable shelter for the poor on behalf of Habitat For Humanity. If you believe that you could be doing more to help the less fortunate, then grab your hammer, go out, and work up a sweat with people like yourself working with Habitat for Humanity. Now I personally have never helped with the Habitat program but I know others who have. I do help out in other ways. I help many of my neighbors in need. I help several older folks with housekeeping chores around their homes. Locally we have a Day of Caring. Mine just exceeds into days, months and years of caring. I guess what I'm trying to say is that Habitat is a good way of showing that you care, but there are other things you can do also to help out in your community. Donate to the local food banks is one way. 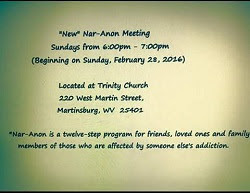 There is a very good program happening every Thursday at the First Baptist Church on King St. here in Martinsburg. They feed the hungry every Thursday evening. Here is the link to Habitat Eastern Panhandle for those who are interested. Just For Today: I will continue helping my neighbors in need. Just a quick note, today is the last day of the challenges for the section on Finding Happiness Living Healthy. 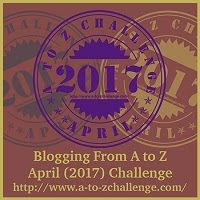 I wanted to add a quick note that the next section of Challenges will resume May 1, 2017, after the April A-Z Blogging Challenge is over. I have the first week of April posts completed and ready to go. I need to work on the second week. I still have about three days of posts I am still trying to complete. I hope you understand. Today is Day #222 of the Just For Today Challenge. I am also integrating the Live Happy into my daily Challenge. The Live Happy Challenge for today suggests that we trek the Himalayas. If you've ever wanted to break out of the ordinary routine and taste adventure, trekking might be just the thing to try. Trekking regions of the Himalayas used to be only for adventurers, mountain climbers, and tourists with a liking for remote and exotic destinations. Today, trekking has become a popular pastime for ordinary people with a chunk of time and enough money to get to Nepal or India. It's a good idea for you to join a trekking group if you are a first-time trekker if you are first-time trekker. Trekking, defined generally as walking while carrying a backpack. will take you through lots of different types of terrain if you are walking in regions of the Himalayas. As you hike, you'll burn lots of calories. Your muscles will become firmer and stronger and you'll begin to feel mental, spiritual, and physical renewal. Read up on trekking; give it a try. I doubt I ever get the opportunity to trek the Himalayas, but I have had the opportunity to trek quite a few miles of the Appalachian Trail in the George Washington National Forest. Just For Today: Just added this one to my 2017 bucket list of things to do this summer. I will spend more time out hiking this summer for the benefits of the mental, spiritual, and physical renewing. I am pleased to announce the First Annual Community United in Recovery, an event sponsored by The Hope Dealer Project of Martinsburg, WV. The Hope Dealer Project will be hosting a community recovery awareness and resource event. The admission is free of charge and open to families and businesses in the tri-state area. 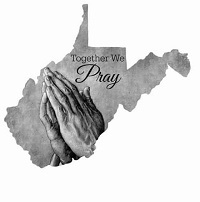 It is our desire to publically bring our available resources together under one roof to assist our community to combat our ever growing addiction challenges that we face today in the Eastern Panhandle. 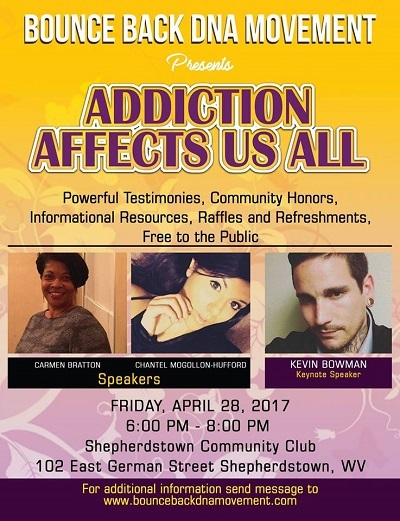 There will be guest speakers and live music about recovery. This will be an informative event that you don't want to miss. A community UNITED in recovery will RECOVER! Will you join us? If you need additional information or have any questions please contact Tara Diggs Mayson or by email tara.mayson@gmail.com and by phone at 844-383-4673. The Hope Dealer Project is a non-profit 501(c)3 organization and all donations are tax deductible. You may also visit their Facebook Event page @ 1st Annual Community United in Recovery for more information on this event. Today is Day #221 of the Just For Today Challenge. I am also integrating the Live Happy into my daily Challenge. The Live Happy Challenge for today says we need to walk to the local market when we can. If there's a grocery store in your neighborhood or a weekend farmer's market, gather together canvas bags or heavy-duty utility bags and head out of a brisk walk to do your grocery shopping. Since you'll be carrying bags of groceries back home afterwards, you'll want to be sure you can carry what you purchase, in other words, buy only what you need that will fit into a couple of bags. Walking while carrying groceries means you'll be burning a lot more calories than you would driving your car to the store. Plus, it's better for the environment. Now, that's something to feel good about. Just For Today: Now that the weather is warming up I am taking more walks. In case anyone is wondering what our city council thinks about a treatment center here a story is out today by our local newspaper. “I personally would like to see that thing put on hold until we see our upcoming (city) balance in July or August, and then we’ll revisit this thing instead of jumping into it right now,” said Councilman Mark Baker. Today is Day #220 of the Just For Today Challenge. I am also integrating the Live Happy into my daily Challenge. The Live Happy Challenge for today suggests joining a rowing club. If you like working out with others, join a rowing club. Rowing tones the arms builds upper body strength and involves all major muscle groups. Basically, rowing takes tow forms. Sculling is when rowers have an oar in each hand. But when the rowers have both hands on one oar, that type of rowing is called sweep rowing. Rowing is a low-impact exercise but does require a degree of agility, grace, and teamwork. Rowing as a team teaches you to work together for maximum effectiveness. The boat advances more quickly when the rowing team members row fast and in unison. So make some new friends, learn the art of rowing, get in a regular workout, and feel good as your body becomes trim and toned. Just For Today: Appreciating the challenges of living healthy in the exercise challenge. As the April A-Z Blogging Challenge gets closer I wanted to share this short film documenting the lives of four families affected by heroin and opioids. Many still debate whether or not addiction is a disease or choice. The studies are out there. You can google and bring up so much information. Whichever side of the debate you set on there are studies showing how this changes and affects the brain. There are studies proving that mental illness is a key factor to this disease. There are currently studies out there showing the relation between addiction and genetics. For some, it started as an over-prescribing of some powerful painkillers. 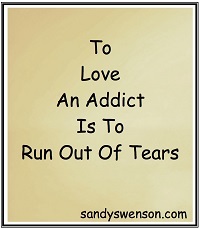 For some this started as a way of numbing pain. Then there are those who just made a wrong decision to try it just once as a choice. Their lives will never be the same. Their families will never be the same. No one person is immune. No one family is immune from this epidemic. If you are a parent get as much information as you can relating to this. Bring up the discussion in your family. Talk about it. None of us affected by this today ever thought we would be going through this either. Today is Day #219 of the Just For Today Challenge. I am also integrating the Live Happy into my daily Challenge. The Live Happy Challenge for today says to take an eco-themed trip to a rainforest or other exotic locale. Experience sheer exhilaration as you get a workout in an exotic locale. Sign up for a fun-filled eco-tour vacation. Teach your children about ecology and learn some new facts yourself while hiking in nature. You'll burn roughly 544 calories an hour rock or mountain climbing or about 510 calories if you are just climbing hills with a 10- to 20- pound pack on your back. Head off for the Lapa Rios Ecolodge, a rainforest reserve and wildlife corridor near Costa Rica's Corvado National Park, where you can hike and see spectacular birds and other wildlife. Or travel back in time to discover ancient Ethopia and hike with eco-tour guides into the Simein Mountains. If you prefer a locale closer to home, learn about the life of eagles and try a little kayacking on an eagle watching trip into the wilds of Maryland. The point is to burn calories doing fun activities in a natural setting. I personally love getting out into nature. Just For Today: I am thankful that Spring is here. The temps will be getting warmer and I can get outside. Today is Day #218 of the Just For Today Challenge. I am also integrating the Live Happy into my daily Challenge. The Live Happy Challenge for today says, put on your rollerblades or your skates and skate your heart out. Have you tried skating lately? You can still rent skates and get a workout in a roller skating rink or ice skating facility. Ice skating is particularly fun when done in the winter in an outdoor rink. Roller rinks still offer the young and young-at-heart places to get a workout, complete with music and a light show. Another option is to buy some inline skates designed for skating on paved surfaces such as streets and sidewalks. Inline skates are sleeker and more stable and lightweight than their traditional counterparts. along a picnic lunch, a bottle of water, and your inline skates. Don't forget to take along some gloves to protect your hands, and pads for your elbows and knees just in case you fall. But don't let the fear of falling keep you from working out and having some fun. Skating particularly works the thighs, calves, and buttocks, and when you see the results on your body for doing that type of regular exercise, you'll exercise your facial muscles too, into a big smile. This is an activity I haven't done in awhile. Just For Today: Brush the dust off of my rollerblades and like it says, skate my heart out! Today is the big day of the big Theme Reveal Day in which we uncover what our posts for the month of April. Now, the first year I participated I posted this challenge without a theme. The next year, I chose a theme. I found it much easier to stick to one content. This book was suggested by a reader of my blog. I added it to my list. Find out why this inspiring, dynamic and thought provoking book about Super Star's journey through addiction and into recovery comes highly recommended by professionals in the field of addiction! This is a great read for anyone interested in gaining insight into an addiction for the one with an addiction, for the family or loved ones, for anyone who would like to educate themselves about addiction from the perspective of one walking along the path. For the addict, the first 30 days are a roller coaster of despair, cravings, and emotions that addicts have either never had to deal with or have previously chosen to ignore. Maintaining sobriety during this time is often on a day-to-day, hour-by-hour, or second-to-second basis. To find success with sobriety, a person needs to have tools to deal with life from a new and unique perspective. As the relapse statistics indicate, it can be very scary as well as overwhelming to stay sober during this time of recovery. But what about the friends or family member of the addict? The ones that are watching their loved one struggle with the disease. How are they feeling? What is healthy for them to do or not do? How should they handle the difficult situations that arise? This book provides insight for the family member or loved one into the inner thoughts of an addict; both during active addiction and in early recovery. This is an opportunity to better understand that addiction isn't just about using the drug; its about so much more. Addiction is a thinking disease and this book appropriately exposes how stinkin thinkin is at the core of every addiction! The story chronicles rock bottom experiences, daily journals from my first 30 days in recovery followed by a stinkin thinkin and sober thinkin reflection one year later. The reflections are important because they allow the reader to witness the amount of personal growth that can happen during the first year of sobriety when someone works a recovery program. The reflections identify when the thinking was improper and dangerous, which we call Stinkin thinkin , and when they were healthy and useful, which we call Sober thinkin . This book is a tool to answering such questions as Should I be feeling this way on day 1? Am I crazy for thinking such a thought on day 18? How should I handle this situation on day 29? The readers experiences may not be the same as mine were, but there will be similarities that will allow an opportunity to gain insight through another's story. This book lets readers know that what they are going through or a loved one is going through are very much part of the recovery process. The experiences shared will allow the reader a deeper understanding into the thought process associated with addiction providing opportunities to gain insight into how to handle situations in a way that support recovery or support someone else in early recovery. By giving the reader real-life scenarios to associate with from someone who has been there, it shows that they too can find success in sobriety and be whoever they've always wanted to be even a Rock Star or Super Star. This book was written for anyone who thinks it might be worth getting high just one more time or who thinks life could not get any worse from using. 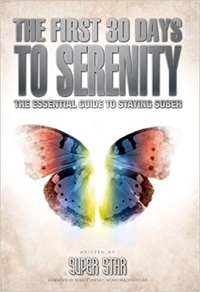 The road to SERENITY through SOBRIETY starts right now! This book is available on Amazon for Kindle and in Paperback but as always will be checking local bookstores to see about its availability. Today is Day #217 of the Just For Today Challenge. I am also integrating the Live Happy into my daily Challenge. The Live Happy Challenge for today says to dance around the kitchen while you are waiting on your coffee. Start your day with a little salsa, mambo, cha-cha, or your favorite dance steps as you make your way over to measure the coffee, add the water, and turn on the pot. Dance until the coffee is ready, have a cup, and dance some more. Start your fancy footwork in your kitchen and jig throughout your house. If you have to leave for work, dance your way to your dressing room, keep moving while you do your makeup, dance over to pick up your purse, briefcase, and car keys... and dance right into the garage. Keep moving and watch the pounds melt away. This is a challenge that I love. The experts say dancing can burn lots of calories. Some experts say it helps us in times of stressful situations which I have found to be true. Many times I have just danced. Not a fancy dance like the salsa or cha-cha, but I have danced. Many times the hubby and I have danced to songs on repeat. No matter what I hope you dance! Today is Day #216 f the Just For Today Challenge. I am also integrating the Live Happy into my daily Challenge. Today's challenge is one that I can really get into. The Live Happy Challenge for today says, design and plant your own herb garden. Gardening gives you the opportunity to work out in the fresh air. And nothing beats fresh-picked herbs when you want to intensify the taste of salsas, sauces, and savory dishes. That's roughly one Starbucks grande Caffe' Latte made with milk, or one Snickers bar. You can get a bit more of a workout if you use heavy equipment during your time in the garden, for r example, a rototiller or cutting trees with a chainsaw. The calories then add up to around 400 to 405 per hour. But if you love to cook and also appreciate having fresh herbs as well as fruits and vegetables packed with vitamins, minerals, and other nutrients, consider designing and planting a garden and then combine the gardening with cooking for a healthier you. I love this idea. I have my own little herb garden. We had a groundhog who devoured my chamomile last year as well as a few others. I can't wait for the weather to break to get out in the yard again. Just For Today: Monday is the first day of spring. Cannot wait for warm weather again! Today is Day #215 of the Just For Today Challenge. I am also integrating the Live Happy into my daily Challenge. The Live Happy Challenge for today says to go horseback riding. Just imagine bundling up in a sweater and scarf on a chilly spring or fall morning and riding horseback along a beach past crashing waves or through a leafy forest glade, replete with dew-laden spider webs and small critters scurrying out of your path. The world looks and feels different from the back of a horse. Horseback riding seems to heighten your senses of sight, smell, and touch. Riding at full gallop requires you to use those thigh muscles, and your feet and hands to stay in the saddle. Mounting anddismounting also can provide a little workout. But the joy you feel seated atop a horse and observing the world awakening is a bonus for exercising by riding horseback. When I was younger my grandad had ponies we rode. My aunt used to have horses. It has been a very long time since I rode a horse. It was peaceful just to ride listening to the sounds of mother nature all around me. Just For Today: Monday is the first day of spring. I can't wait for warmer days. Today is Day #214 of the Just For Today Challenge. I am also integrating the Live Happy into my daily Challenge. The Live Happy Challenge for today says, tile your bathroom for a rigorous workout. If your idea of exercise involves moving your body and doing something else productive that pays a big dividend, then consider taking a class on how to lay tile or renovate/remodel your bathroom. Laying tile involves many activities, including but not limited to carrying, cutting, and applying tile with special tile glue. But before you lay any tile, you may have to first remove old tile and/or cabinets, tub, toilet, and shower. You will be bending, lifting, walking, reaching, and stretching during the process. You most certainly will be tired at the end of the day. But as you stretch out the soreness in your muscles, imagine how happy you'll be to have a brand new bathroom and to know it will add dollars to the value of your home. Just For Today: I get a good workout just going to work! Today is Day #213 of the Just For Today Challenge. I am also integrating the Live Happy into my daily Challenge. The Live Happy Challenge for today says, take a kickboxing class. Now today's challenge is one I can get into. Releasing some pent of aggressions about this heroin epidemic in some Tae'bow. I was pretty good at Tae'bow many years ago then I sprained my ankle doing a Tae'bow kick. Release some of that aggression in a kickboxing class where you'll learn to combine martial arts kicks with boxing punches for a great workout. There are many different styles of kick boxing and variants to chose from, for example, Brazillian Jiu-Jitsu, Muay Thai, Burmese Kickboxing, Indian adithada and French savate, to name a few. Just For Today: This is a challenge I may have to look into. Many of us here in Martinsburg and Berkeley County have expressed the need for a long-term, dual diagnostic drug treatment center here in Berkeley County and/or Martinsburg, WV especially when it was announced the same year as this video came out about the building at 750 Baltimore St.
"A West Virginia Board of Pharmacy report says a prescription drug used to treat nerve pain is contributing to a sharp increase of overdose deaths in the state. The Charleston Gazette-Mail reports the number of fatal overdoses involving gabapentin in West Virginia jumped from three in 2010 to 109 in 2015. The number of 2016 deaths are still being counted. Pharmacy board administrator Mike Goff, who oversees the state's drug-monitoring database, says gabapentin is showing up in cocktails of drugs that are linked to overdose deaths. 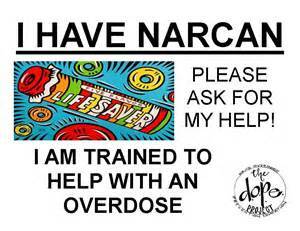 Users seeking a euphoric high mix the drug with opioids or muscle-relaxants and anti-anxiety medications." Just what the heck is Gabapentin anyway? I had to turn to the trusty website at drugs.com for that answer. As with all of your prescription drugs, keep them locked up. Today is Day #212 of the Just For Today Challenge. I am also integrating the Live Happy into my daily Challenge. The Live Happy Challenge for today says, play Twister or Musical Chairs at your next get together. The next time your family gets together for some good old-fashioned fun, suggest a game of Twister or musical chairs. Spread out the Twister mat and review the game rules. Spin the needle and prepare to twist yourself into knots. Or, try a few rounds of musical chairs. Before starting the music, make sure there is one less chair than the number of players. For every cycle of music remove another chair to that there's always one less chair than there are players. These activities may not burn a lot of calories but do provide a little exercise with the emphasis of fun. I did have to laugh at the first suggestion of the game of Twister. OMGosh it has been a very long time since I played that game. At my age, I'm not sure if I would try to attempt it. It made me laugh thinking about it. Just For Today: Just thinking about today's challenge made me laugh. Today is Day #211 of the Just For Today Challenge. I am also integrating the Live Happy into my daily Challenge. The Live Happy Challenge for today says, exchange your home with a foreign family. If you've dreamed of exploring exotic European locales, sampling the cuisine, and shopping in local markets and antique stores, consider swapping your house with a foreign family. You will stay in the home of an Italian, French, Spanish, or German family and that family gets to come to your house in America and stay in your house. Whether you want to swap for a week or a month or longer, home exchange organizations and property management companies specialize in vacation house exchanges can answer your questions and facilitate the house swapping. Ask if the homeowner would allow you to ride the family bicycles, row the family boat, or ride the horses. The point is to not just laze around in the swapped house, but enjoy your new surroundings to the fullest and keep the exercise going. The challenge today reminded of the movie, The Holiday. Remember when Cameron Diaz needed a vacation after a breakup so she googled vacation and went on Home Exchange. Who knew, Home Exchange is a real website. 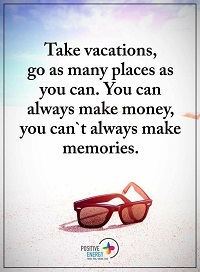 We haven't been on a vacation for over about ten years now. Due to our job situations, this year doesn't look promising either. I am often reminded of how badly I need to vacate from all of this. Just For Today: I am reminded of how badly I need a vacation from all of this. In a few days, we will be midway through the month of March. 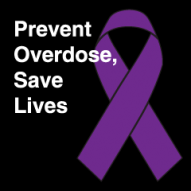 This year alone we have watched as the number of overdoses have more than doubled since this time last year and the number of those dying from this addiction have grown. While we wait for the latest numbers to be released by the Recovery Resource Coordinator, Kevin Knowles we continue to watch as the rising cost of this heroin epidemic here is being paid at a high price, with human lives. Those who are affected by this are growing in numbers. The ages of those trying this drug for the first time for whatever reason are getting younger. Recently announced is the news that the indigent funeral fund for this state is defunct. It is only March and the $2 million allotted for poor families is gone. Martinsburg, WV and Berkeley County, WV had three decades to prepare for this after the Crack Cocaine bust of the Hill in 1986 and our local law enforcement seemed to many of us living here to have gone to sleep after the celebrations and the parades. Crack Cocaine never left here. It only moved to the rural areas. Soon after meth moved in and for a time complaints of rising cook houses which probably still exist in the county. While all of this was left unattended for years heroin didn't sneak here into our communities. No, it marched in with waving flags starting for some as addiction to painkillers; to others, they walked straight into the needle. For many years heroin dealing was out in the open public. At least the dealers never tried to hide it in the parking lot of the convenience store I worked in. I was pretty naive when I first went to work there. I had no idea just how bad it was. To those of us who worked there we were shocked that although we complained, it seemed allowed to continue. Who knew that in only a few years after first starting work there that one of our sons would try heroin. 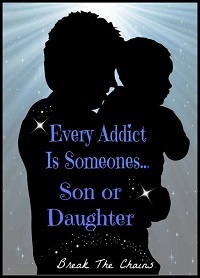 Now, our family is just a statistic of the numbers who still battle with this addiction. 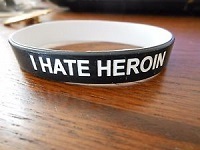 Just how many more lives have to suffer in this addiction? 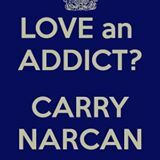 How many more lives will be lost to this addiction? How many more children will lose their parents? How many families will have to bury their loved ones? NOTE: This post in no way means that I am knocking down our law enforcement, or officers. I've met many of them and we have some very good caring officers here in Martinsburg and Berkeley County. Mr. James Boyd of Martinsburg who advocates for change with his message of #staystopped here in Martinsburg, WV and in Berkeley County is one of our strongest voices in this fight between our city and county leaders and those of us who say, We need a treatment here. Thank you, Mr. Boyd, for always looking out for those suffering this addiction and for the families still struggling here in the panhandle. We who live here know that the detox is an important step in recovery. If they are lucky a bed somewhere will open for them in a 30 Day Program, or they will die to wait on a bed to become available to them. We have to stop treating this as a lottery system here. All Lives Matter in this suffering. The support for a treatment center here in Berkeley County continues growing. Thank you! And Thank you for sharing this petition. For many of us, this town's leaders are acting very confused about this issue. They have granted approval for the stripper pole clubs to open back up in operation, yet refuse to look at the whole picture that those stripper clubs are the problem in this epidemic. Meanwhile in this town, the overdose numbers continue growing and the number of those losing the battle with this addiction continue growing. Today is Day #210 of the Just For Today Challenge. I am also integrating the Live Happy into my daily Challenge. The Live Happy Challenge for today says, go buy a new swimsuit and play in the water. Swimsuit shopping can lift your spirits, especially if you've gotten in shape prior to the summer swimsuit season. So go buy a suit and join family or friends for some water play. Skin cancer is a serious risk, so be sure to use adequate sunscreen to protect against the sun's harmful rays. Wear a hat with a wide brim to shade your face and neck. Also, avoid the hottest times of the day when the sun is directly overhead. Opt for playing in the water during the early morning and late afternoon hours when you can swim, snorkel, water-ski, deep sea dive, surf, or row around in your kayak or canoe. Also, drink plenty of water to replenish what you lose through perspiration from all that exercise. Now go and have a blast. The temps have been up and down this season. Today they are calling for a big nor'easter here in the eastern portion of the state. With the weatherman calling for snow this week, it is hard thinking about the summer season. Mother nature has however been teasing us with warmer temps for the past month. Just think there are eight more days until Spring! For those of us still trying to lose a pound or two, we have plenty of time! Just For Today: I am not thinking about the few extra pounds I have to lose. I am eating healthier and exercising. I'll accomplish my goal. "The amendment called for re-classifying marijuana in state guidelines as a Schedule IV drug: a non-narcotic drug with low potential for abuse. “It allows for the prescription of medical cannabis,” he said. Currently, both state and federal law classify marijuana Schedule I drug, a category that also includes drugs such as heroin." You may remember from my post the other day called, Marijuana X: It's not your old school pot that I mentioned that the US Gov holds the patent on Marijuana and that the DEA still has it classified as a Schedule One drug. Now, this statement made by Delegate Shawn Fluharty D-Ohio has me really scratching my head. “It’s a shame that legislators are putting politics above the health of our residents,” Fluharty said after voting against the amendment, co-sponsored by Delegate Isaac Sponaugle, D-Pendleton. “This amendment would have allowed doctors to be doctors, and prescribe medicinal cannabis if they thought it was proper for their patients,” Fluharty said. All they are asking is that the DEA change the scheduling of cannabis. This statement is the kind that has some of us wondering what this is really about. Wasn't it the huge pharma, politicians, and doctors made the most money off of the opioid crisis in this country for many years? Would the change of the scheduling of cannabis mean that the DEA cannot make huge profits off of marijuana seizures in this country in the states who have not legalized? Who stands to lose the most profits in a reclassification of cannabis? Everyone thinks that this bill would have allowed for citizens to grow it in their yards. I'm not so sure. The State of Maryland is asking for "legal growers" to apply for jobs. Remember the US holds the patent on it. 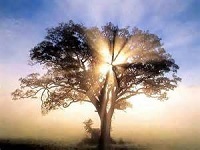 They will tell you what can and cannot be grown and where, when and how. People are still being arrested in WV on marijuana charges when it years ago was said to be a misdemeanor offense to be in possession. Why do they continue to fill our regional jails up with those misdemeanors? If you are wondering why they won't reclassify pot, read the link to Here is why the DEA will not reclassify marijuana.. 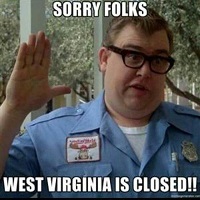 Sorry folks! I keep saying that there will always be a Catch-22. Many thanks to those in office in WV who see things for what they are and ask more questions. We of those affected by this opioid and heroin epidemic need some clarification on exactly what this bill is? Many of us can only look at the future generations of West Virginia. We've already seen what this heroin epidemic has done to families. West Virginia doesn't need a flawed bill on top of the opioid problem. Synthetic Cannabis- Wiki Remember synthetic cannabis compounds are illegal, yet in Colorado, that is what is being hailed as medicinal marijuana.